Like tags, groups are a way to segment your Database. Contacts can be assigned to a group manually and automatically based on logic in your campaign. Although tags and groups are very similar to each other, Infusionsoft users may find groups useful, as they are not connected to your Infusionsoft account. 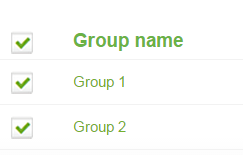 Infusionsoft users can use groups to segments contacts inside MOBIT, without this showing inside Infusionsoft. In this article, we will show you how to add, it and delete groups. 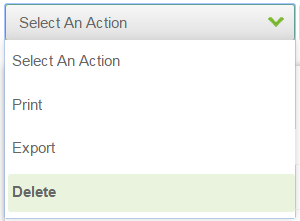 3 - Click on the action button to the far right of the group you would like to edit and select Delete from the two options that appear. Confirm that you would like to delete the group on the prompt that follows.